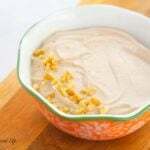 Chocolate Peanut Butter Wonder Whip is a healthy dessert. It’s rich in protein, no bake, and easy to make. For me, it’s a perfect combo of flavors help to fight cravings! We all know that living a healthy lifestyle and trying to lose weight can mean cravings. 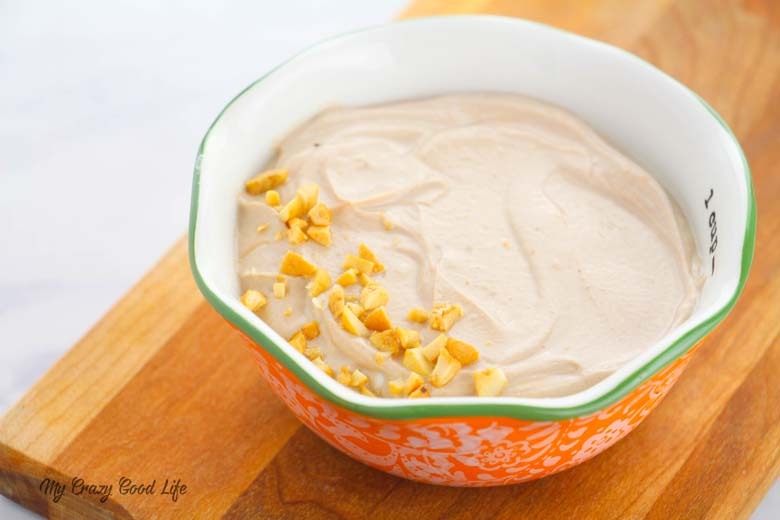 Instead of letting them derail my progress I’ve turned to recipes like this Chocolate Peanut Butter Wonder Whip to help me fend off the need for sweets! 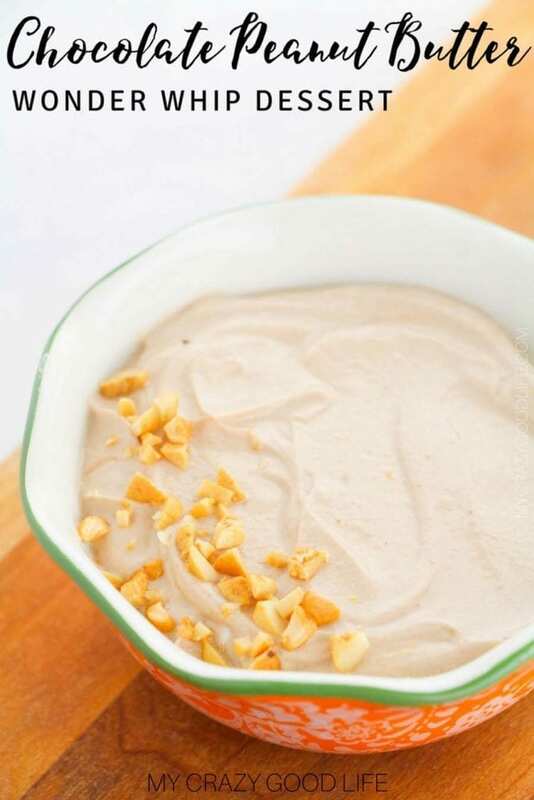 Like my other Wonder Whip recipe varieties, Lemon Meringue, Key Lime Pie, and Chocolate Mint, this chocolate peanut butter Wonder Whip is quick and easy to make. It’s a protein packed snack / dessert that is healthy and fresh! Taste and adjust the sweetener to your preferences (I used stevia but use your preferred sweetener). What is Powdered Peanut Butter Counted as on the 21 Day Fix? Cocoa powder is free on the 21 Day Fix, and looking at the nutrition information for powdered peanut butter and the 21 Day Fix guidelines, I feel comfortable not counting the 2T of powdered peanut butter used in this recipe. If you’d like to count it, you’re welcome to do so. I struggle to find one thing that Autumn or Beachbody has said (consistently) in the past about how to count powdered peanut butter. I can direct you to this post about peanut butter from Beachbody and this video from Autumn about PB2. I am fully on board with the thought that you should just use peanut butter, not powdered peanut butter. BUT in this case, it’s 99x easier to whip powdered peanut butter than it is real peanut butter, so that is why I called for it here. 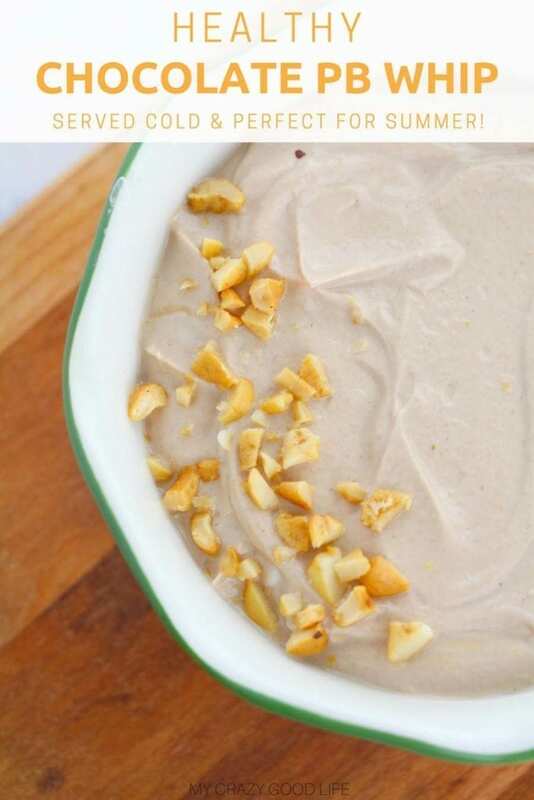 Is this chocolate peanut butter Wonder Whip a healthy option? It is a great healthy dessert option. All of my Wonder Whip recipes are made with Nonfat Plain Greek Yogurt or Oikos Triple Zero Vanilla. 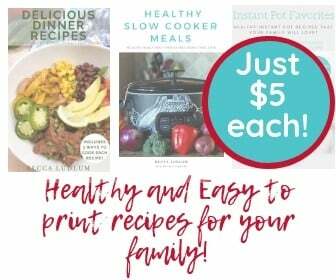 Both of these healthy options taste great in Wonder Whip recipes and give an equally delightful texture! They’re also really protein rich which means they’ll help keep you feeling full and give you energy! Because this particular Wonder Whip recipe also uses powdered peanut butter you get another boost of protein. With more than 30g of protein per serving this recipe is great for post workout snacks, a quick breakfast on the go, or a healthy dessert! Can I keep Wonder Whip in the fridge for later use? I won’t keep Wonder Whip in the refrigerator for much longer than a week. The texture just starts to get weird after awhile. 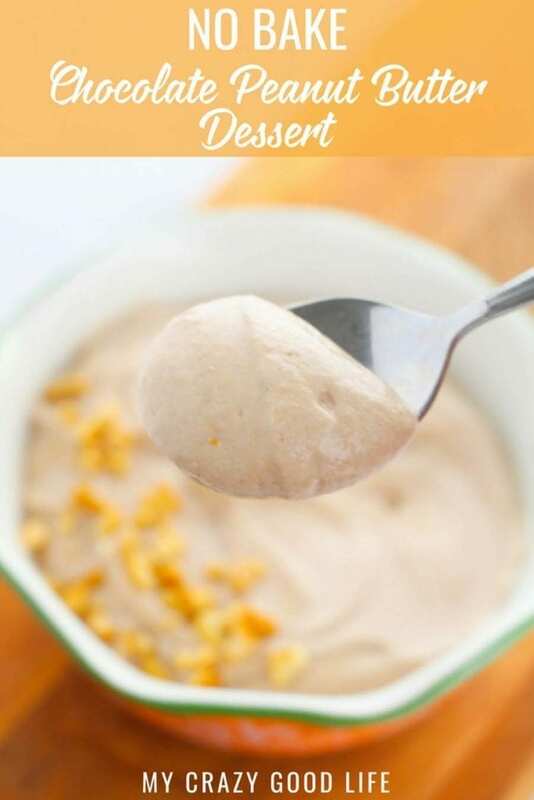 If you are looking for a more long term storage option for Wonder Whip recipes you can try freezing this chocolate peanut butter Wonder Whip in the egg bites mold! They’re perfectly portioned little bites that you can thaw out when a craving strikes! 21 Day Fix: 1 Red 2B Mindset: A great protein option for breakfast or a snack! I just made it and it is ahhhmazing! I need something to fight those sugar cravings! Just curious why the calorie count is so high, though? I used Fage 0% which is 120 cal/cup (90 for the 3/4) and the PB Powder says 50 cal/ 2tbsp. Everything else was small. Did I miss something? You didn’t miss anything, my counts were off! With everyone using different yogurt, this is definitely more of a guideline than anything. The automated nutrition info isn’t always the best. I’ve fixed this one–thank you!